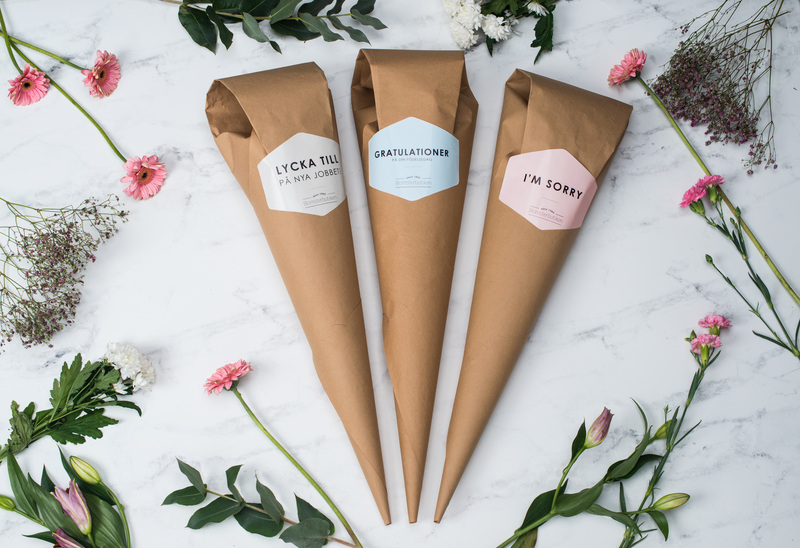 The future of flower packaging. 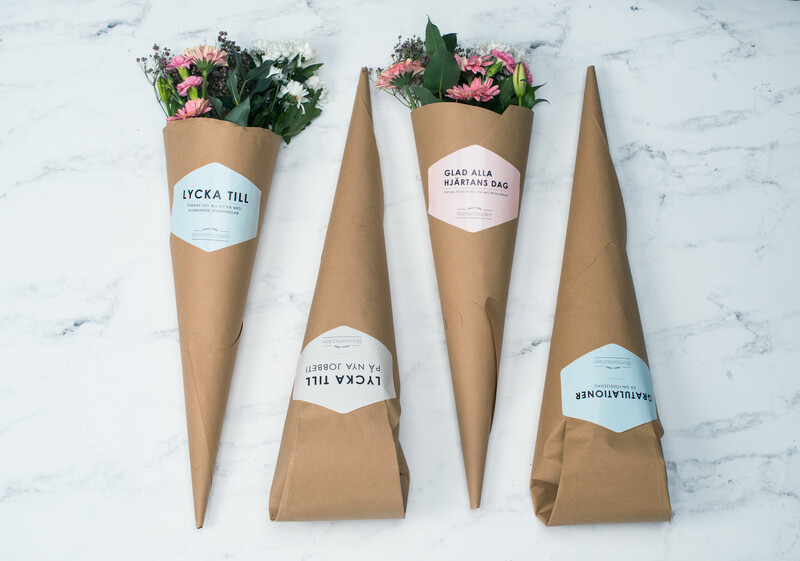 As a school project we were given a brief from Swedbag to update the flower packaging from todays solution. 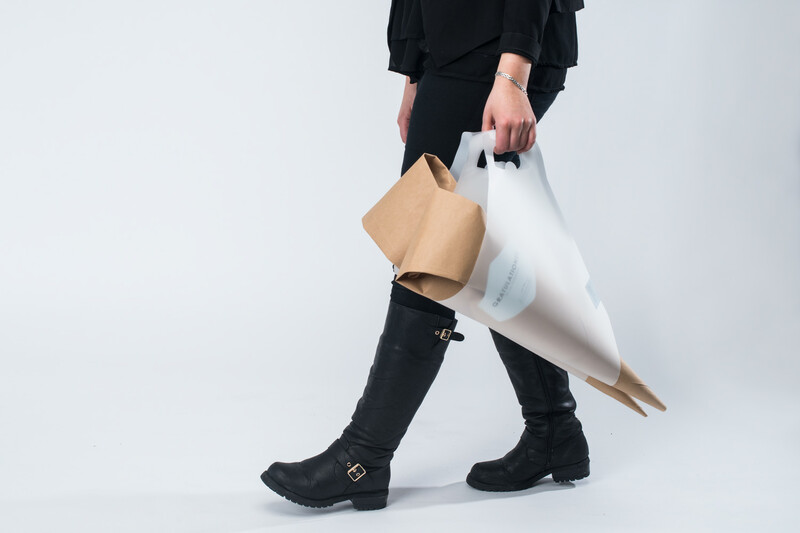 The packaging should work as a whole concept and be more environmentally friendly and give the consumer a holistic experience. The solution is a tape and glue free package that seals by a lock function. The labels are not necessary to close the package but is used for branding opportunities. 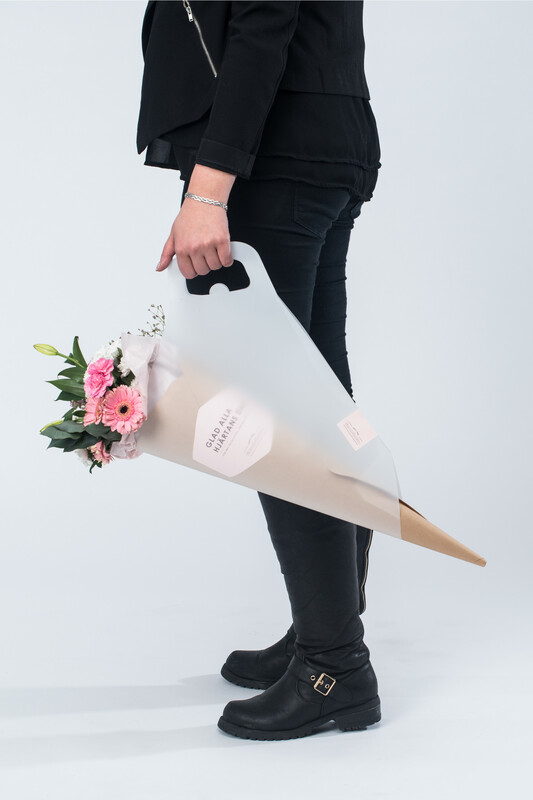 This shows a concept were the labels replace traditional greeting cards so you can give the flower package as a part of the gift.